In his opening to Raleigh Review’s Spring 2017 issue, which marks the seventh anniversary of the non-profit literary magazine, the Editor describes the collection as “one that captures the harmful attempts of the erasure” of various cultures “as it relates the self to history and to place.” As the editorial team proudly states on its website, the aim of each Raleigh Review issue is to offer readers a new worldly lens through which they can better understand and identify with their neighbors, “whether across the street or across the globe.” The Spring 2017 issue is no exception. “What Descends into Flesh” by Erin Rose Coffin stands out, as it takes two of these isolated experiences and placing them side by side in two separate stanzas. Coffin draws parallels between the woman of the first stanza, a mother in Western Indonesia burying her infant son’s corpse inside a jackfruit tree, and the woman of the second stanza, a mother visiting the gravesite of her own mother in Charlotte, that highlight the inherent interconnections that one person has with another, despite any physical distance or cultural differences that may separate them. Overall, the poetry in this collection is saturated with a rich, dark loneliness that stains the reader’s fingers as each page turns, inspiring the kind of empathy that Raleigh Review works so hard to evoke. The fiction pieces in the issue range from four to sixteen printed pages in length, and they take place in an even wider range of refreshing settings, from the badlands of the Dakotas to the Kathputli Colony in New Delhi. The stories are well driven, though some seem to end without enough resolution—particularly in “To the MacArthurs,” which has a frigid and rather inconsistent protagonist. They come full circle and redeliver the reader to the stories’ beginnings, leaving him or her with some new insight and the final question: “Now what?” This bitter-sweetness seems to work in coordination with the moods of some of the pieces, as the characters are also left wondering if they can expect their lives to be reinvigorated. Every evening when the sun slips through the skies of New Delhi, I unbutton Lily’s dress… when I run my fingers over Lily’s body, I always get lost in the same question. How many times could we make love before morning if, tonight, you were more than cloth and wood? The pigeons on the asbestos roof guess a number between three and a trillion, and coo their babies to sleep. The lonely widower goes on to further describe Lily, the puppet he modeled from his wife’s corpse, as well as other things from his past that continue to haunt him as his uncertain future approaches. “Dirty White Strings” is a gem that touches on the idea of isolated communities and their right not only to exist, but to flourish. The writing is crafted as delicately and intimately as the protagonist’s puppets, and its performance moves its audience just as easily. The featured artist for the issue is Joan Fullerton, whose work has been prominently displayed around the world since the 70s. Seven of her pieces are included in the issue, all mixed media and all beautiful. The placements of the pieces really complement the written work throughout the issue. In Ascending, for example, a dark, silhouetted figure approaches a staircase as tree limbs reach eerily in its direction; this image appears right after Felicia Zamora’s poem “Beneath the stairwell”, in which the speaker says the “roof / bellows & still your fingers do not / know gentle; beyond panes trees / tilt—how we all subject to force.” This really works to cohere all subjects and experiences in the collection quite nicely. Raleigh Review also accepts book review submissions. 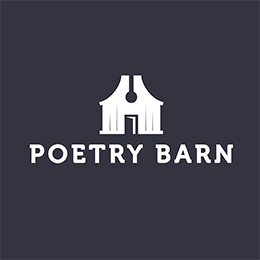 The four published in this issue are reviews of the following recently published poetry collections: The Catalog of Broken Things, Showtime at the Ministry of Lost Causes, Life Pig, and Small Crimes. These reviews are all extremely well written and invoke the ideas and works of other artists to solidify their arguments. They range from two to seven printed pages in length. As the final item in the table of contents, Rob Greene’s review of Small Crimes by Andrea Jurjević really ties the entire issue together as it describes Jurjević’s work as full of “global poems of genuine humanness.” It’s safe to say that Raleigh Review has achieved that as well.